Hyalophane or jaloallofane is a crystalline mineral, part of the feldspar group of tectosilicates. 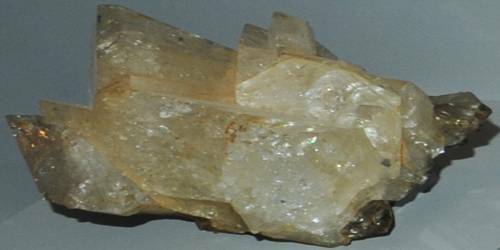 It is considered a barium-rich potassium feldspar. Its chemical formula is (K, Ba)[Al(Si, Al)Si2O8], and it has a hardness of 6 – 6.5. 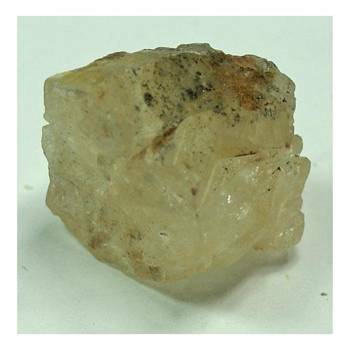 It is a mineral consisting of a monoclinic feldspar isomorphous with and resembling adularia. The name hyalophane comes from the Greek hyalos, meaning “glass”, and phanos meaning “to appear”. An occurrence of hyalophane was discovered in 1855 in Lengenbach Quarry, Imfield, Binn valley, municipality of Binn, Canton of Valais, Switzerland. Hyalophane has sometimes been used as a gemstone. Optically, the material exhibits biaxial birefringence, with refractive index values of nα = 1.542, nβ = 1.545, and nγ = 1.547 and a maximum birefringence of δ = 0.005. It has weak dispersion and low surface relief. Occurrence: Typically associated with metamorphosed manganiferous rocks or in mineral deposits rich in manganese. The mineral is found predominantly in Europe, with occurrences in Switzerland, Australia, Bosnia, Germany, Japan, New Jersey, and the west coast of North America. Hyalophane may be found in manganese deposits in compact metamorphic zones. Association: Manganiferous epidote, rhodonite, rhodochrosite, spessartine, manganiferous tremolite, plagioclase, analcime.